1. Polycystic ovarian syndrome (PCOS) is the most common endocrine disturbance in women of reproductive age, affecting an estimated 5 to 10 percent of all women. 2. During the normal ovulatory process, an egg is matured in an ovarian follicle, which then ruptures and releases the egg. In women with PCOS, high levels of hormones called androgens halt the egg's development, leaving an enlarged follicle containing the immature egg. These follicles — whose appearance is sometimes likened to a string of pearls — are the cysts observed via ultrasound in PCOS. The name is a bit misleading — not every woman with PCOS has cysts, and many women who have cysts don't have PCOS. 3. 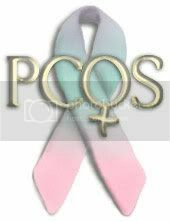 Many PCOS symptoms are the result of high levels of androgens. These hormones are often called "male hormones," even though they are found in both men and women. They are usually at much higher levels in men. Androgens include testosterone, dihydrotestosterone (DHT) and androstenedione. Other hormones can be converted into testosterone or DHT, including dehydroepiandrosterone (DHEA) and DHEA sulfate. 4. PCOS is strongly linked to obesity and insulin-resistance (a precursor to type II diabetes), and for women with PCOS who are obese, a treatment plan will usually incorporate a diet and exercise program. About one-third of women with PCOS who are obese have insulin resistance or type II diabetes. 5. About one in 10 cases of diabetes in premenopausal women can be linked to PCOS. The syndrome may also boost the risk for heart disease, although long-term, definitive studies have yet to be completed. 6. If you are overweight, losing weight is a big step toward lowering your risk for diabetes and heart disease. Losing weight can help restore regular periods and improve other hormonal imbalances, but weight loss is often an incomplete solution to PCOS. 7. If irregular and/or infrequent menstruation is a problem, birth control pills (typically incorporating estrogen and progestogen) or periodic courses of progestin alone can probably get you on schedule again. During menstruation, the lining of the uterus is shed, providing protection against uterine cancer. Thus restoring regular periods is essential. 8. PCOS is associated with insulin resistance and diabetes, but not all women who have PCOS are insulin-resistant or diabetic. If you have PCOS, you should also be evaluated for diabetes with both a fasting glucose test and a glucose challenge test with insulin levels. The fasting glucose insulin test is the standard, but that test alone misses about half the women with PCOS who have diabetes or insulin resistance. 9. Occasionally, symptoms are the result of an androgen-producing tumor. If your testosterone level is above 200 mg/dl or your cortisol level is elevated, your health care professional may want to investigate further. A good friend of mine had this...not a fun thing to deal with! Hopping through on Wednesdays Hops! Follow back @ http://www.pargasjunkyard.wordpress.com and on facebook @ http://www.facebook.com/PargasJunkyard Thanks! Hey thanks for sharing this. I am suffering from ovarian cyst problem. And i have gained much weight. So thanks i really loved your points. Please share more about PCOD and it's remedies.